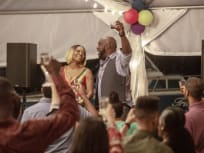 "From On The Pulse Of Morning"
On Queen Sugar Season 3 Episode 13, Ralph Angel gets unexpected news, the fate of the prison is revealed and Violet and Hollywood celebrate their love. 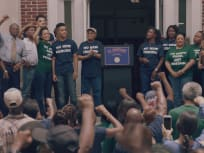 On Queen Sugar Season 3 Episode 12, Charley shares her secret, the Council votes about the correctional facility, and Violet shares her Lupus diagnosis. 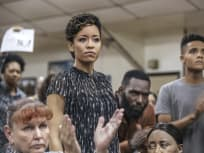 "Your Passages Have Been Paid"
On Queen Sugar Season 3 Episode 11, Darla and Ralph Angel undergo a heated mediation, while Charley confronts Micah about his involvement in the fire. 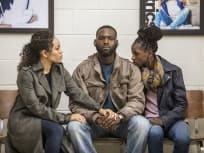 On Queen Sugar Season 3 Episode 10, Ralph Angel receives a surprise from DCFS, Charley meets with Colton Landry, and Nova and Remy decide their future. 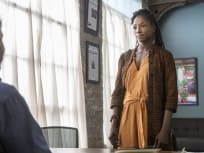 "The Tree and Stone Were One"
On Queen Sugar Season 3 Episode 9, Charley receives unexpected support in her fight against Sam Landry and learns the truth about Remy and Nova. 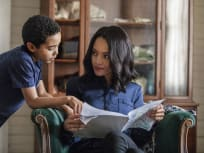 On Queen Sugar Season 3 Episode 8, Charley finds more dirt on Landry Enterprises, Micah plans a protest, and Violet’s business partnership may be in jeopardy. 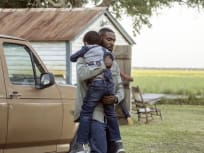 On Queen Sugar Season 3 Episode 7, as Violet celebrates her 60th birthday, the Bordelon family is horrified to discover the Landrys’ true plan for the land. "A Little Lower Than Angels"
"No Haven In My Shadow"
"A Rock, A River, A Tree"
Don't lead with the fear of what might be. Lead with the strength of who you are. Permalink: Don't lead with the fear of what might be. Lead with the strength of who you are. 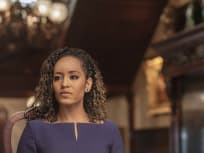 Having you as the continuing face of Queen Sugar, well, it helps us keep up appearances, if you know what I mean?